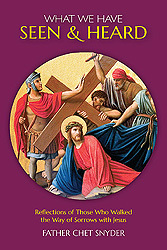 In this colorfully illustrated booklet, Fr. 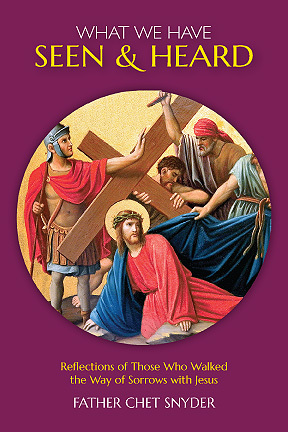 Chet Snyder, a retired pastor from the diocese of Harrisburg PA, leads you along Jesus’ Way of the Cross by presenting the imaginative responses of those who encountered him that day—inviting the reader to consider what the people and events on that first Good Friday might say about our faith lives today. Fr. Chet also offers a brief reflection on each station to stimulate your own prayerful response.